Long known for being the only guy allowed to play you his mixtape on a first date, that shockingly new Johnny Bravo physique of his, and even influencing a generation that's lacking the patience, Drake's sense of style is finally starting to be appreciated. Rarely the focus of the media frenzy, his wardrobe choices aren't often in the spotlight. Perhaps it's because his style so understated, or maybe because he spends too much time blatantly ruining Meek Mill's life to even address all his exclusive fashion tips. This is understandable, but don't pretend you aren't desperate to learn exactly why every black-jeans-black-tee combo he wears just feels right. It's because Drake is your low-key fashion inspiration — you just didn't know it. There are years of evidence that could put Drake into fashion police custody — every episode of Degrassi ever, or his nerded-out 2014 ESPY's ensemble (sweater vest and all). But now that he's sitting front row with the likes of Anna Wintour, dating mega babe Serena Williams, and has put on like three tons of muscle — I trust whatever he says about fashion, even when he doesn't outwardly say it. Take a look at some subtle Drake fashion tips, as styled by Champagne Papi himself and soon you too will be a (fashion) legend. Runnin' through J.Crew with your woes. If you want to learn from the best, you've got to keep your fashion circle strong. Meaning, you must literally bae Anna Wintour. This is probably what Drake meant by "ballin' out of control." Pattern-clashing is a thing of the past. Now, we have aesthetic-clashing. Can't decide whether you want to blend in with your natural surroundings or look like you're about to play doubles with Serena? Drake says you don't have to pick. #Blessed. An all-black outfit is not a cop out, it is simply an outfit palette cleanser between Varsity jackets. Because what else complements a private jet this well? 6. Who Doesn't Love A Fitted Coat? What better way to show off your physique than a super-ridiculously-tailored jacket? We're talking children's section, people. Fun fact: He learned this little fashion tip from Three 6 Mafia. And he hasn't looked back since. It's all about the one-tone ensemble. Consider this the modern day Juicy Couture Sweatsuit. There's nothing but victory in wearing a letterman jacket. Dress for a Diddy Party. But, like, every day. Patriotism is so very chic. So glad to see him and Lana are on the same page. A smile is always the best option. What's "fashionable" is truly subjective. Know yourself, know your worth. 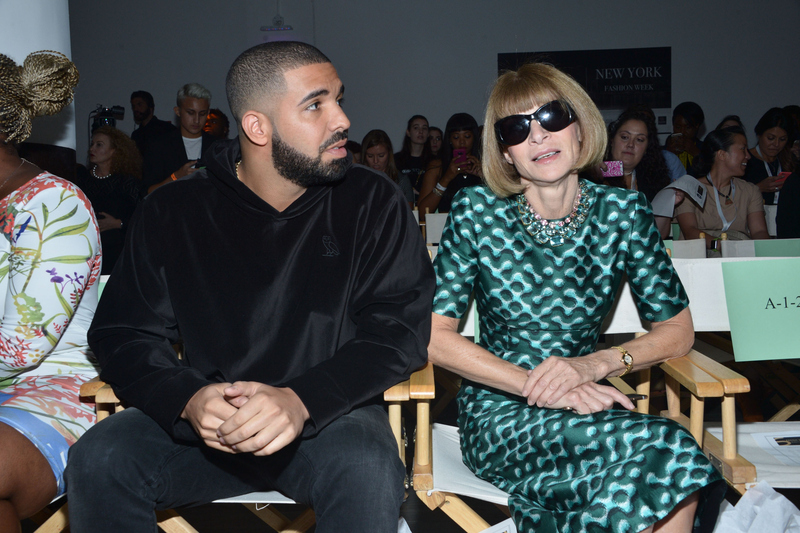 And there you have it, folks: Drake is all the fashion inspiration you'll ever need.